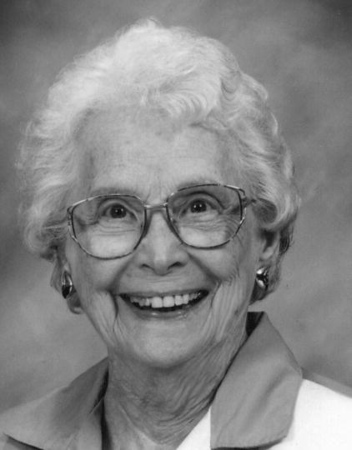 Doris (Oquist) Kincaid, 106, of Sun City Center, Fla., widow of Hollis Kincaid, passed away Sunday, October 28, 2018, in Florida. Born in New Haven, Doris was a former New Britain resident, lived in Kensington for 47 years until moving to Florida in 1988. Doris was the oldest living member of Kensington Congregational Church; was a member of Martha Chapter Order of Eastern Star; was former President of the Woman’s Service League of Kensington Congregational Church; was a Sunday school teacher; and was a former Girl Scout Leader. After moving to Florida she was active in the South Shore United Church of Christ. She was an avid sewer and knitter, making countless charitable items. Surviving are two daughters, Sally Lund and her husband, Walter, of Boulder, Colo.; and Marilee Myers of Riverview, Fla.; six grandsons; one granddaughter; twelve great-grandchildren; and three great-great-grandchildren; several nieces and nephews. Besides her husband, Hollis, she was predeceased by a sister, Bernice Bentley. Funeral services are Wednesday 11 a.m., at Kensington Congregational Church, 312 Percival Ave., Kensington, CT 06037. Burial will be in Rose Hill Memorial Park, Rocky Hill. Posted in New Britain Herald, on Friday, 2 November 2018 21:05. Updated: Friday, 2 November 2018 21:07.